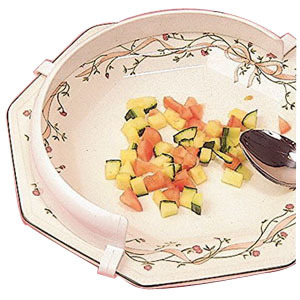 Sammons Plastic Plate Guard is lightweight, versatile plate guard which quickly attaches to any standard dinner plate. It is easy-to-clean and made up of polyethylene. It is dish washer safe to 180°F (82°C) and latexFree.